In East Slavic languages and Polish, they are known as the Polovtsy, derived from the Slavic root *polvъ "pale; light yellow; blonde". :43 Polovtsy or Polovec is often said to be derived from the Old East Slavic polovŭ (половъ) "yellow; pale" by the Russians – all meaning "blond". The old Ukrainian word polovtsy (Пóловці), derived from polovo "straw" – means "blond, pale yellow". The western Cumans, or Polovtsy, were also called Sorochinetses by the Rus', – apparently derived from the Turkic sary chechle "yellow-haired". A similar etymology may have been at work in the name of the Sary people, who also migrated westward ahead of the Qun. [full citation needed] However, according to O. Suleymenov polovtsy may come from a Slavic word for "blue-eyed", i.e. the Serbo-Croatian plȃv (пла̑в) means "blue", but this word also means "fair, blonde" and is in fact a cognate of the above; cf. Eastern Slavic polovŭ, Russian polóvyj (поло́вый), Ukrainian polovýj (полови́й). An alternative etymology of Polovtsy is also possible: the Slavic root *pȍlje "field" (cf. Russian póle), which would therefore imply that Polovtsy were "men of the field" or "men of the steppe" in contrast to the Lipovtsi. 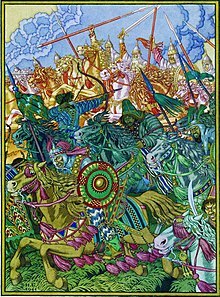 Ivan Bilibin's illustration to The Tale of Igor's Campaign shows the Cumans fighting against the Rus'. Hungarian King Ladislaus I of Hungary (left) fighting a Cuman warrior (right), from the Dârjiu Unitarian Church, Romania. In alliance with the Bulgarians and Vlachs, the Cumans are believed to have played a significant role in the uprising led by brothers Asen and Peter of Tarnovo, resulting in victory over Byzantium and the restoration of Bulgaria's independence in 1185. Istvan Vassary states that without the active participation of the Cumans, the Vlakho-Bulgarian rebels could never have gained the upper hand over the Byzantines, and ultimately without the military support of the Cumans, the process of Bulgarian restoration could never have been realised. :73 The Cuman participation in the creation of the Second Bulgarian Empire in 1185 and thereafter brought about basic changes in the political and ethnic sphere of Bulgaria and the Balkans. :xii The Cumans were allies in the Bulgarian–Latin Wars with emperor Kaloyan of Bulgaria. 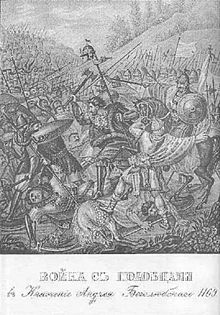 In 1205, at the Battle of Adrianople (1205), 14,000 Cuman light cavalry contributed to Kaloyan's crushing victory over the Latin Crusaders. 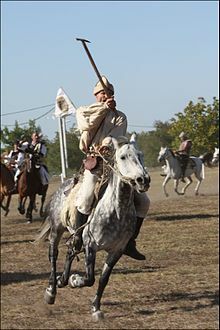 Cuman troops continued to be hired throughout the 13th and 14th century by both the Bulgarians and Byzantines. 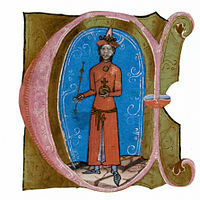 King Ladislaus IV of Hungary. Ladislaus' mother, Elizabeth the Cuman, was the daughter of a Cuman chief. Around December 1240, news came that the Mongols were advancing towards Hungary. 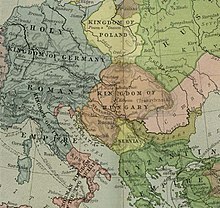 King Bela then installed front line defenses at the Carpathian Mountains, after which he returned to Buda and called a council of war and ordered unity against the Mongols. The opposite happened, however, as many of the barons were hostile towards the Cumans. The Hungarian barons noted that there were Cumans in the Mongol armies, but they didn't realize that this was because they were conscripted into it and had no say in the matter. In particular the barons didn't trust Köten, despite the fact that the Mongols had attacked his people for nearly 20 years. This chaos pushed Bela into a corner; feeling he needed to show his strength and keep the rebellious barons onside, he ordered Köten to be placed under house arrest. This did not placate the barons and had an opposite effect of erroneously seeming to admit that the King harboured doubts about Köten, too. This angered the Cumans, who were far from happy about the actions taken against them, and who had done nothing to invite such actions and hated the Mongols. News arrived on 10 March that the Mongols had attacked the Hungarian defenses at the Carpathian passes. This prompted Bela to send a letter to Duke Frederick of Austria asking for help. Frederick had previously wanted Bela's throne, but Bela responded by amassing a vast army and marching to the gates of Vienna, which forced Frederick to step back. On 14 March, news had arrived that the Carpathian defense forces were defeated by the Mongols. Ironically, given the suspicion of the Cumans, they were the only ones who seemed willing to fight the Mongols, the memory of the fate that had befallen them on the steppes still being fresh in their minds. By this time Bela had lost control of his army and many towns were destroyed. Soon thereafter Frederick arrived, and, wishing to harm the country's defense (in revenge to Bela), he stirred up further feelings against the Cumans. By the 15th century, the Cumans were permanently settled in Hungary, in villages whose structure corresponded to that of the local population, and they were Christianized. The Cumans did not always ally with the Hungarian kings – they assassinated Ladislaus IV; however, other sources suggest that certain Hungarian barons had a role in his murder, thus Ladislaus fell victim to his political enemies. :82 The royal and ecclesiastical authorities incorporated, rather than excluded, the Cumans. The Cumans served as light cavalry in the royal army, an obligation since they were granted asylum. Being fierce and capable warriors (as noted by Istvan Vassary), they had an important role in the royal army. The king led them in numerous expeditions against neighbouring countries; most notably they played an important part in the battle between Rudolf of Habsburg and Ottokar II of Bohemia in 1278 – King Ladislaus IV and the Cumans (which numbered 16,000):173 were on Rudolf's side. Cuman divination practices used animals, especially the wolf and dog. The dog "It/Kopec"[dubious – discuss] was sacred to the Cuman–Kipchaks, to the extent that an individual, tribe, or clan would be named after the dog or type of dog. Cumans had shamans who communicated with the spirit world – they were consulted for questions of outcomes. 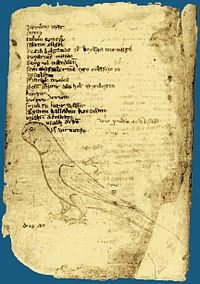 The Codex Cumanicus, which was written by Italian merchants and German missionaries between 1294 and 1356,:173 was a linguistic manual for the Turkic Cuman language of the Middle Ages, designed to help Catholic missionaries communicate with the Cumans. It consisted of a Latin–Persian–Cuman glossary, grammar observations, lists of consumer goods and Cuman riddles. :176 The first copy was written in the monastery of St. John near Saray. A later copy (1330–1340) is thought to have been written in a Franciscan friary. Later, different sections of the codex, such as the Interpreter's Book (which was for commercial, merchant use) and the Missionaries' Book (which contains sermons, psalms and other religious texts along with Cuman riddles) were combined. The Interpreter's Book consists of 110 pages; pages 1–63 contain alphabetically arranged verbs in Latin, Persian and Cuman. The Missionaries' Book contains vocabulary listings, grammatical notes, Cuman riddles, religious texts and some Italian verses. The Cuman riddles are the oldest documented material of Turkic riddles and constitute Turkic folklore. Some of the riddles have almost identical modern equivalents (for example Kazakh). The Codex Cumanicus is composed of several Cuman–Kipchak dialects. It is currently housed in the Biblioteca Marciana, in Venice (Cod. Mar. Lat. DXLIX). Some parts from the Codex's Pater Noster are shown below: Atamız kim köktesiñ. Alğışlı bolsun seniñ atıñ, kelsin seniñ xanlığıñ, bolsun seniñ tilemekiñ – neçikkim kökte, alay [da] yerde. Kündeki ötmegimizni bizge bugün bergil. Dağı yazuqlarımıznı bizge boşatqıl – neçik biz boşatırbiz bizge yaman etkenlerge. Dağı yekniñ sınamaqına bizni quurmağıl. Basa barça yamandan bizni qutxarğıl. Amen! 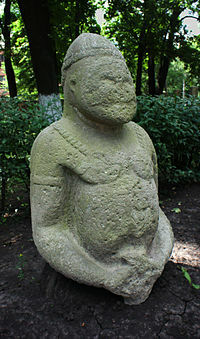 Sharukan/Sharagan (also known as Sharukan the Elder), grand father of Konchak. He was another Polovotsian khan who was victorious against the Ruthenian army of Yaroslavichi at the Alta river (Battle of the Alta River). According to the Novgorod First Chronicle Sharukan was taken as prisoner by Svyatoslav II of Kiev in 1068, while no such information is provided in the Laurentian Codex. 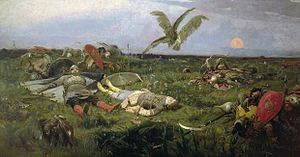 In May 1107 along with Bonyak, Sharukan raided a couple of Ruthenian cities (Pereyaslav and Lubny), however already in August of the same year the collective Ruthenian army led by Svyatoslav carried out a devastating defeat to the Cuman Horde forcing Sharukan to flee. As the Cumans ceased to have a state of their own, they were gradually absorbed into Eurasian populations (certain families in Hungary, Bulgaria, North Macedonia, Turkey, Romania, Georgia, Kazakhstan, Tatars in Crimea). The Cumans in Dobruja were assimilated into Bulgarian and Romanian people. :176 Traces of the Cumans can still be found in placenames stretching from China to the Balkans, such as the city of Kumanovo in North Macedonia; a Slavic village named Kumanichevo in the Kostur (Kastoria) district of Greece, which was changed to Lithia after Greece obtained this territory in the 1913 Treaty of Bucharest; Comăneşti in Romania; Kuman, a city in Xinjiang, China; Polovtsy, a town in Smolenskaya Oblast', Russia; Polovtsy in Mahilyowskaya Volblasts', Belarus; the steppes north of the Caucasus Mountains, referred to as Kuban as well as the Kuban River; the village of Kumane in Serbia; the village of Kumanitsa, in the municipality of Ivanjica, Serbia; the municipality of Kuman in the Fier District, Fier County, southwestern Albania; Küman, a village and municipality in the Lerik Rayon of Azerbaijan; the town and district of Ulaş in the Sivas province of Turkey; Comana in Northern Dobruja (also Romania); the small village of Kumanite in Bulgaria; Kuman, a town in Qashqadaryo, Uzbekistan; Kuman-san, a mountain peak near Ch'unch'ŏn, Gangwon, South Korea; the town of Kumanlar in Ordu, Turkey; Debrecen in Hungary; the village of Bugac in Hungary, the counties of Bács-Kiskun and Jász-Nagykun-Szolnok as well as the cities Kiskunhalas and Kunszentmiklós in Hungary, the village of Kunmadaras in Greater Cumania, Hungary; and the town of Kumanov in Khmel'nyts'ka Oblast', Ukraine. The flower, Kumoniga (melilot), is also a relic of the Cumans. The Gagauz people are believed by some historians to be descendents of the Cumans; the name Qipcakli occurs as a modern Gagauz surname. :47 The etymology of the Sea of Azov is popularly said to derive from a certain Cuman prince named Azum or Asuf, who was killed defending a town in this region in 1067. As the Mongols pushed westward and devastated their state, most of the Cumans fled to Hungary, as well as the Second Bulgarian Empire since they were major military allies. The Cuman participation in the creation of the Second Bulgarian Empire in 1185 and thereafter brought about basic changes in the political and ethnic sphere of Bulgaria and the Balkans. Bulgarian Tsar Ivan-Asen II was descended from Cumans and settled them in the southern parts of the country, bordering the Latin Empire and the Thessallonikan Despotate. Those territories are in present-day Turkish Europe, Bulgaria, and North Macedonia. 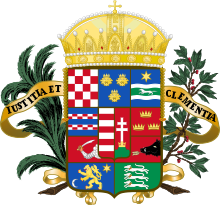 Kunság (Cumania) in the 18th century within the Kingdom of Hungary. It was divided into Greater Cumania and Little Cumania. 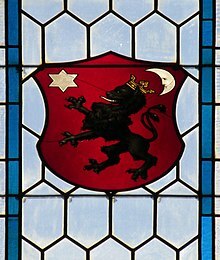 The Cumans who settled in Hungary had their own self-government in a territory that bore their name, Kunság, that survived until the 19th century. Two regions – Little Cumania and Greater Cumania – exist in Hungary. The name of the Cumans (Kun) is preserved in county names such as Bács-Kiskun, Kunbaja and Jász-Nagykun-Szolnok, and town names such as Kiskunhalas, Kunszentmiklós. The Cumans were organized into four tribes in Hungary: Kolbasz/Olas in upper Cumania around Karcag and the other three in lower Cumania. 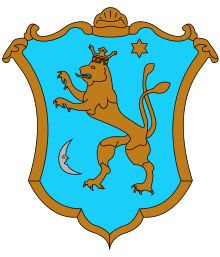 Historical coat of arms of Cumania. Stained glass window in the southern nave of the St Elisabeth Cathedral, Košice, Slovakia. In the countries where the Cumans were assimilated, family surnames derived from the words for "Cuman" (such as coman or kun, "kuman") are not uncommon. Traces of the Cumans are the Bulgarian surnames Kunev or Kumanov (feminine Kuneva, Kumanova) and Asenov, its variants in North Macedonia Kunevski, Kumanovski (feminine Kumanovska); the Kazakh surname Kumanov; the widespread Hungarian surname Kun; the Hungarian surnames of Csertan, Csoreg, Kokscor, Karacs, Kekcse; the Hungarian surname of Kangur – a byname of one of the families of Karcag (the words Kangur and Karcag derive from Qongur and Qarsaq respectively, and occur as modern day clan names of the Kazakhs – the Kipchak tribes Qongur and Qarsaq, as well as names used by the Kirgyz in the Manas epic – mentioned as Kongur-bay, lord of the Mongol Kalmyk people and the warrior Kongrolu); the Hungarian surname of Kapscog (from "Kipchak")- Kapsog Tojasos Kovacs, a byname of Kovacs family, as well as the name of Eszenyi Kopscog of Hungary; and the Greek surname Asan. 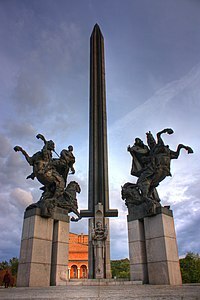 :40:54 The names "Coman" in Romania and its derivatives, however, do not appear to have any connection to the medieval Cumans, as it was unrecorded until very recent times and the places with the highest frequency of such names has not produced any archaeological evidence of Cuman settlement. Persons of Cuman/Kipchak origin also became Mamluk leaders - a prominent Cuman Sultan of the Egyptian Mamluk Sultanate, Sultan Baibars (reigned 1260–1277), defeated King Louis IX of France (Seventh Crusade – 1248–1254) and resisted the Mongol invasion, defeating the Mongol army at the Battle of Ain Jalut (1260) and the Battle of Elbistan (1277) (by using the feigned-retreat tactic). :156 Mamluks in the empire retained a particularly strong sense of Cuman identity, to the degree that the biography of Sultan Baibars, as reflected by Ibn Shaddad, focused on his birth and early years in Desht-i-Kipchak ("Steppe of the Kipchaks"/Cumania), as well as enslavement and subsequent travels to Bulgaria and the Near East. The historian Dimitri Korobeinikov relates how Baibars' story sums up the tragic fate of many Cumans after the Battle of the Kalka River (1223) and the Mongol invasion of Europe (1223–1242). Roman Kovalev states that this story can further be seen as a mechanism for the preservation of a collective memory broadly reflecting a sense of Cuman identity in the Mamluk Sultanate. In the latter part of the 1260s the Mamluks were allied with the Golden Horde against the Ilkhanate. The creation of this specific warrior class, described as the "mamluk phenomenon" by David Ayalon, was of great political importance. In relation to the Kumandins, Potapov regarded the Kumandins as being related anthropologically to the Uralic peoples, and suggested that they were less East Asian than the Altaians proper. This subjective impression has been borne out, to an extent by genetic research suggesting that most Kumandin males belong to subclades of Y-DNA haplogroups such as R1b other Y-DNA N. However, a majority of mitochondrial DNA lines belonged to the North East Asian haplogroups C or D with also a large minority of west Eurasian lineages such as U. ^ Robert Lee Wolff: "The 'Second Bulgarian Empire.' Its Origin and History to 1204" Speculum, Volume 24, Issue 2 (April 1949), 179; "Thereafter, the influx of Pechenegs and Cumans turned Bulgaria into a battleground between Byzantium and these Turkish tribes..."
^ a b c d e Bartusis, Mark C. (1997). The Late Byzantine Army: Arms and Society, 1204–1453. University of Pennsylvania Press. pp. 26–27. ISBN 978-0-8122-1620-2. ^ a b c d e f g h i j k l m n o Spinei, Victor (2009). The Romanians and the Turkic Nomads North of the Danube Delta from the Tenth to the Mid-Thirteenth Century. Leiden: Brill. ISBN 978-9004175365. ^ "Cuman (people)". Britannica Online Encyclopedia. Retrieved 14 June 2015. ^ a b c d "Mitochondrial-DNA-of-ancient-Cumanians". Goliath.ecnext.com. Archived from the original on 2010-01-24. Retrieved 1 March 2014. ^ a b c d e f g h i j k l m n o p q r s t u v Vásáry, István (2005). Cumans and Tatars Oriental Military in the Pre-Ottoman Balkans 1185–1365. Cambridge University Press. ISBN 978-0-5218-3756-9. ^ a b c d e f g h i j k l m n o p q Sinor, Sinor, ed. (1990). The Cambridge History of Early Inner Asia, Volume 1. Cambridge University Press. ISBN 978-0-5212-4304-9. ^ "Cumans". Encyclopediaofukraine.com. Retrieved 13 April 2011. ^ a b c Bartlett, W. B. (2012). The Mongols: From Genghis Khan to Tamerlane. Amberley Publishing Limited. ISBN 978-1-4456-0791-7. ^ Prawdin, Michael (1940). 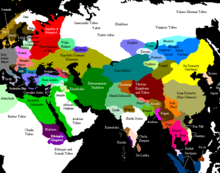 The Mongol Empire: Its Rise and Legacy. Transaction Publishers. pp. 212–15. ISBN 978-1-4128-2897-0. Retrieved 14 June 2015. ^ a b c d e f Nicolle, David; Shpakovsky, Victor (2001). 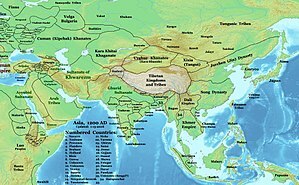 Kalka River 1223: Genghiz Khan's Mongols Invade Russia. Osprey Publishing. ISBN 978-1-84176-233-3. ^ a b c d e f g h i Grumeza, Ion (4 August 2010). The Roots of Balkanization: Eastern Europe C.E. 500–1500. University Press of America. ISBN 978-0-7618-5135-6. ^ a b c d e f g Boĭkova, Elena Vladimirovna; Rybakov, R. B. (2006). Kinship in the Altaic World. Otto Harrassowitz Verlag. ISBN 978-3-4470-5416-4. ^ Khazanov, Anatoly M.; Wink, André, eds. (2001). Nomads in the Sedentary World. Psychology Press. p. 44. ISBN 978-0-7007-1370-7. ^ Imre Baski, "On the ethnic names of the Cumans of Hungary", Kinship in the Altaic World: Proceedings of the 48th Permanent International Altaistic Conference, Moscow 10–15 July 2005 (eds Elena V. Boikova, Rosislav B. Rybakov) Wiesbaden, Harrassowitz Verlag, pp. 48, 52. ^ a b c d e f g h i j k l Justin Dragosani-Brantingham (19 October 2011) . "An Illustrated Introduction to the Kipchak Turks" (PDF). kipchak.com. Archived (PDF) from the original on 2013-09-30. Retrieved 1 March 2014. ^ a b c d e Nicolle, David; McBride, Angus (1988). 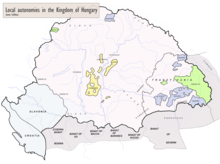 Hungary and the Fall of Eastern Europe 1000–1568. Osprey Publishing. ISBN 978-0-8504-5833-6. Retrieved 14 June 2015. ^ Ignjatić, Zdravko (2005). ESSE English-Serbian Serbian-English Dictionary and Grammar. Belgrade, Serbia: Institute for Foreign Languages. p. 1033. ISBN 978-867147122-0. ^ Rick Derksen, Etymological Dictionary of the Slavic Inherited Lexicon (Brill: Leiden-Boston, 2008), 412. ^ István Vásáry, Cumans and Tatars: Oriental Military in the Pre-Ottoman Balkans, 1185–1365, Cambridge, Cambridge University Press, p. 5. ^ Kamusella, Tomasz (2012). The Politics of Language and Nationalism in Modern Central Europe. Palgrave Macmillan. p. 264. ISBN 978-0-2302-9473-8. ^ a b c d Paksoy, H. B., ed. (1992). Central Asian Monuments. ISIS Press. ISBN 978-975-428-033-3. ^ a b c d H. B. Paksoy, ed. (1992). Codex Cumanicus – Central Asian Monuments. CARRIE E Books. ISBN 978-975-428-033-3. Retrieved 29 April 2015. ^ a b c d e f g MacDermott, Mercia (1998). Bulgarian Folk Customs. Jessica Kingsley Publishers. p. 27. ISBN 978-1-8530-2485-6. ^ Paloczi Horvath 1998, 2001. ^ Erika Bogácsi-Szabó (2006). "Population genetic and diagnostic mitochondrial DNA and autosomal marker analysis of ancient bones excavated in Hungary and modern examples" (PDF). University of Szeged. Retrieved 14 June 2015. ^ a b c d e Wolff, Robert Lee (1976). Studies in the Latin Empire of Constantinople. London: Variorum. ISBN 978-0-9020-8999-0. ^ Pliny the Elder, The Natural History of Pliny Volume 2, p. 21. One or more of the preceding sentences incorporates text from a publication now in the public domain: Chisholm, Hugh, ed. (1911). "Darial" . Encyclopædia Britannica. 7 (11th ed.). Cambridge University Press. p. 832. ^ Minorsky, V. (1942), Sharaf al-Zaman Tahir Marvazī on China, the Turks and India. Arabic text (circa A.D. 1120) with an English translation and commentary. London. 1, pp. 242–243. ^ Yaqut, Kitab mu'jam al-budan, p. 31. ^ a b c d e f g h i j k l m n o Kincses-Nagy, Éva (2013). 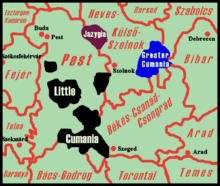 A Disappeared People and a Disappeared Language: The Cumans and the Cuman language of Hungary. Szeged University. ^ Spinei, Victor (2006). The Great Migrations in the East and South East of Europe from the Ninth to the Thirteenth Century: Cumans and Mongols. p. 323. ISBN 978-9-0256-1214-6. ^ a b Golden, Peter B. (1992). An Introduction to the History of the Turkic Peoples. Wiesbaden: Otto Harrassowitz. p. 277. ISBN 978-3-4470-3274-2. ^ Drobny, Jaroslav. Cumans and Kipchaks: Between Ethnonym and Toponym. p. 208. ^ Martin, Janet (1993). Medieval Russia, 980–1584. Cambridge University Press. pp. 48–49. ISBN 978-0-5213-6832-2. ^ a b c d e "Cumans". Encyclopediaofukraine.com. Retrieved 2014-03-01. ^ "Boniak". Retrieved 29 April 2015. ^ Golden, Peter B. (2003). Nomads and Their Neighbours in the Russian Steppe: Turks, Khazars and Qipchaqs. Ashgate/Variorum. p. 138. ISBN 978-0-8607-8885-0. ^ Makk, Ferenc (1989). The Árpáds and the Comneni: Political Relations between Hungary and Byzantium in the 12th Century. Translated by György Novák. Budapest: Akadémiai Kiadó. p. 13. ISBN 978-963-05-5268-4. ^ The Hungarian Illuminated Chronicle (ch. 145.104), p. 132. ^ The meaning of "Vlach" in this case was the subject of fierce dispute in the late 19th and 20th centuries (see also Kaloyan of Bulgaria). ^ As mentioned in the Robert de Clari Chronicle. ^ In his History of the Byzantine Empire (ISBN 978-0-299-80925-6, 1935), Russian historian A. 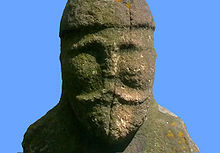 A. Vasiliev concluded in this matter, "The liberating movement of the second half of the 12th century in the Balkans was originated and vigorously prosecuted by the Wallachians, ancestors of the Romanians of today; it was joined by the Bulgarians, and to some extent by the Cumans from beyond the Danube." ^ Krüger, Peter (1993). Ethnicity and nationalism: case studies in their intrinsic tension and political dynamics. Hitzeroth. p. 32. ISBN 978-3-89398-128-1. Retrieved 14 June 2015. ^ a b c Turnbull, Stephen (2003). Genghis Khan & the Mongol Conquests 1190–1400. Osprey Publishing. ISBN 978-1-8417-6523-5. ^ Curta, Florin (2006). Southeastern Europe in the Middle Ages, 500–1250. Cambridge University Press. p. 409. ISBN 978-0-521-81539-0. ^ Hildinger, Erik (2001). Warriors of the Steppe: Military History of Central Asia, 500 BC to 1700 AD. Da Capo Press. p. 134. ISBN 978-0-7867-3114-5. ^ Scott, Richard Bodley (2008). Eternal Empire: The Ottomans at War. Osprey Publishing. p. 30. ISBN 978-1-84603-401-5. ^ Waldman, Carl; Mason, Catherine (2006). Encyclopedia of European Peoples. Infobase Publishing. p. 189. ISBN 978-1-4381-2918-1. ^ Roger Finch, Christianity among the Cumans, p. 5. ^ Sugar, Peter F.; Hanák, Péter; Frank, Tibor, eds. (1994). A History of Hungary. Indiana University Press. p. 26. ISBN 978-0-253-20867-5. ^ a b c d e Linehan, Peter; Nelson, Janet L., eds. (2013). The Medieval World. Routledge. ISBN 978-1-1365-0005-3. ^ [(Hungarian) Kristó, Gyula; Makk, Ferenc (1996). Az Árpád-ház uralkodói [Rulers of the House of Árpád]. I.P.C. Könyvek. ISBN 963-7930-97-3], p. 268. ^ Klaniczay, Gábor (2002). Holy Rulers and Blessed Princes: Dynastic Cults in Medieval Central Europe. Cambridge University Press. p. 439. ISBN 978-0-5214-2018-1. ^ Škvarna, Dušan; Bartl, Július; et al. (2002). Daniel, David P.; Devine, Albert (eds.). Slovak History: Chronology & Lexicon. Translated by David P. Daniel. Bratislava: Bolchazy-Carducci Publishers. p. 33. ISBN 978-0-86516-444-4. ^ a b c Horváth, András Pálóczi (1989). Pechenegs, Cumans, Iasians: Steppe Peoples in Medieval Hungary. Corvina. ISBN 978-9-6313-2740-3. ^ a b Linehan, Peter; Nelson, Janet Laughland, eds. (2003). The Medieval World. Routledge Worlds Series. 10. Routledge. pp. 82–83. ISBN 978-0-415-30234-0. ^ "Nyelv és Tudomány- Rénhírek – Kunok legyünk vagy magyarok?". Nyelv és Tudomány. 2012-10-12. Retrieved 29 April 2015. ^ a b c "Karcag: Year of the Cumans 2009" (PDF). karcag.hu. 2009. Retrieved 14 June 2015. ^ a b c d e f Berend, Nora (2001). At the Gate of Christendom: Jews, Muslims and 'Pagans' in Medieval Hungary, c.1000–c.1300. Cambridge University Press. ISBN 978-0-5216-5185-1. ^ Андреев, Йордан; Лазаров, Иван; Павлов, Пламен (1999). Кой кой е в средновековна България [Who is Who in Medieval Bulgaria] (in Bulgarian). Петър Берон. ISBN 978-954-402-047-7. ^ Fine, John V. A. (1994). The Late Medieval Balkans: A Critical Survey from the Late Twelfth Century to the Ottoman Conquest. University of Michigan Press. ISBN 978-0-472-08260-5. ^ Runciman, Steven (1987). A History of the Crusades, Volume 1. Cambridge University Press. p. 63. ISBN 978-0-5213-4770-9. ^ a b c d e Heath, Ian (1995). Byzantine Armies AD 1118–1461. Osprey Publishing. ISBN 978-1-8553-2347-6. ^ Arbel, Benjamin (2013). Intercultural Contacts in the Medieval Mediterranean: Studies in Honour of David Jacoby. Routledge. p. 143. ISBN 978-1-1357-8188-0. ^ a b c "Polovtsy". TheFreeDictionary.com. Retrieved 29 April 2015. ^ As mentioned in Robert de Clari's chronicle. ^ a b "Cumans". Encyclopediaofukraine.com. Retrieved 2014-03-01. ^ a b Nicholle, David (1990). Attila and the Nomad Hordes. Osprey Publishing. ISBN 978-0-8504-5996-8. ^ Nabokov, Vladimir (1960). Song of Igor's Campaign. New York: Vintage Books. p. 111. LCCN 60-7688. ^ a b c d e Baldick, Julian (2012). Animal and Shaman: Ancient Religions of Central Asia. I.B.Tauris. p. 53. ISBN 978-1-78076-232-6. ^ Chambers, Anatoly M. (1979). The Devil's Horsemen: The Mongol Invasion of Europe. Atheneum. ISBN 978-0-6891-0942-3. ^ a b Slack, Corliss K. (2013). Historical Dictionary of the Crusades. Scarecrow Press. p. 195. ISBN 978-0-8108-7831-0. ^ "Manta – Big finds from small businesses". Goliath.ecnext.com. Archived from the original on 2010-01-24. Retrieved 2014-03-01. ^ Brook, Kevin Alan (2006). The Jews of Khazaria. Rowman & Littlefield Publishers. p. 181. ISBN 978-1-4422-0302-0. ^ Bonyak at the Great Soviet Encyclopedia. ^ "Sea of azov – Learn everything there is to know about Sea of azov at Reference.com". Reference.com. Archived from the original on 30 December 2010. Retrieved 29 April 2015. ^ "Független Kiskunságot!". Halasmédia. Retrieved 29 April 2015. ^ Hírhatár Online Lapcsoport. "Kiskun, nagykun: kunok világtalálkozója Karcagon – Kecskeméti Hírhatár". Retrieved 29 April 2015. ^ "32/2004. (IV. 19.) OGY határozat". Hungarian Parliament. 2004. Archived from the original on 2005-02-16. Retrieved 2009-03-15. ^ a b c Tánczos, Vilmos (2012). Language Shift among the Moldavian Csángós. ISBN 9786068377100. Retrieved 29 April 2015. ^ Curta, Florin; Kovalev, Roman, eds. (2008). "The" Other Europe in the Middle Ages: Avars, Bulgars, Khazars and Cumans. Brill. p. 9. ISBN 978-9-0041-6389-8. ^ Bogácsi-Szabó, E; Kalmár, T; Csányi, B; Tömöry, G; Czibula, A; Priskin, K; Horváth, F; Downes, C. S.; Raskó, I (October 2005). "Mitochondrial DNA of ancient Cumanians: culturally Asian steppe nomadic immigrants with substantially more western Eurasian mitochondrial DNA lineages". Hum. Biol. 77 (5): 639–62. doi:10.1353/hub.2006.0007. PMID 16596944. ^ a b Bogacsi-Szabo, Erika; Kalmar, Tibor; Csanyi, Bernadett; Tomory, Gyongyver; Czibula, Agnes; et al. (October 2005). "Mitochondrial DNA of Ancient Cumanians: Culturally Asian Steppe Nomadic Immigrants with Substantially More Western Eurasian Mitochondrial DNA Lineages". Human Biology. Detroit: Wayne State University Press. 77 (5): 639–662. doi:10.1353/hub.2006.0007. ISSN 0018-7143. LCCN 31029123. OCLC 1752384. PMID 16596944. ^ Bogácsi-Szabó, Erika (2006). Population genetic and diagnostic mitochondrial DNA and autosomal marker analyses of ancient bones excavated in Hungary and modern samples (PDF) (Thesis). Szeged, Hungary: University of Szeged. Retrieved 2014-03-01. ^ Bennett, Casey and Frederika A. Kaestle (2006) "A Reanalysis of Eurasian Population History: Ancient DNA Evidence of Population Affinities" Human Biology 78: 413–440 . ^ Horvath 1978; Kovacs 1971; Sandor 1959. ^ Dulik, MC; Zhadanov, SI; Osipova, LP; Askapuli, A; Gau, L; Gokcumen, O; Rubinstein, S; Schurr, TG (2012). "Mitochondrial DNA and Y chromosome variation provides evidence for a recent common ancestry between Native Americans and Indigenous Altaians". Am. J. Hum. Genet. 90 (2): 229–46. doi:10.1016/j.ajhg.2011.12.014. PMC 3276666. PMID 22281367.